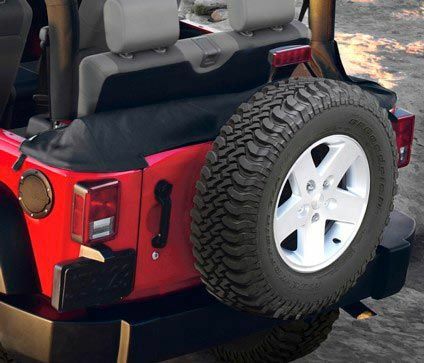 This soft top boot for your Jeep Wrangler does double duty by protecting the soft top when it is folded down for open-air driving and also providing a neater, buttoned-up look. The soft top boot comes in black and includes a zippered pouch for protecting the soft windows in storage. The soft top boot is made of the same material as your soft top. Fit the top and attached with no problems. Looks great and does the job. ConsThe included window storage bags are a little small if you put something between the windows to protect them from getting scratched.